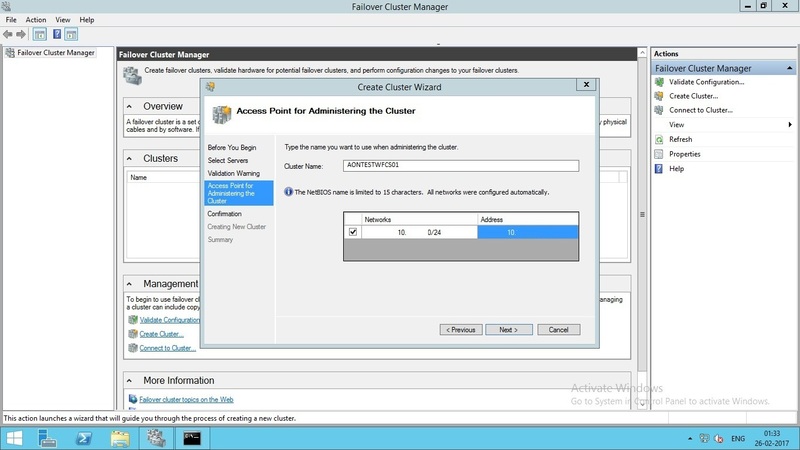 One of my client requirement is to install Always on availability groups for SQL databases. 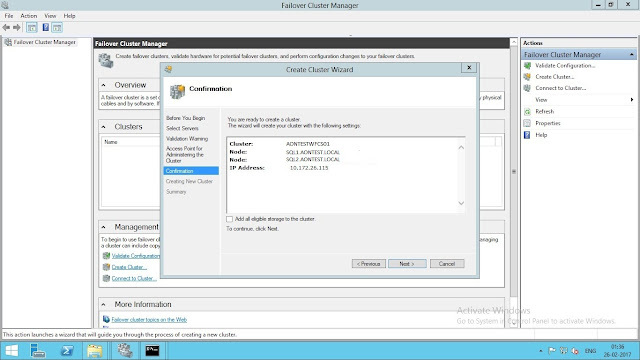 You don't require shared storage to setup Always on availability. it can be configured in local disks. 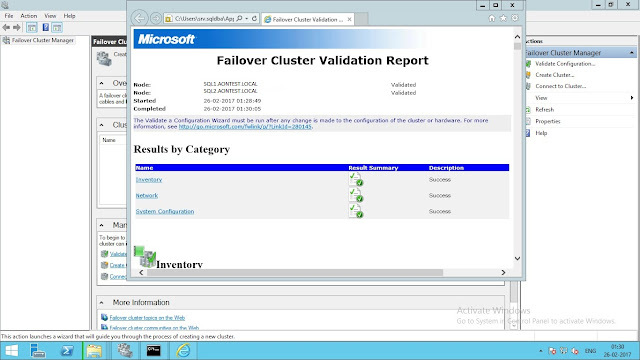 AlwaysOn Availability Groups rely on the Windows Server Failover Cluster for failure detection and management of the Availability Group replicas. Prerequisites required to install Windows 2012 R2 failover cluster feature. Domain user account must have administrator rights on the computers that are becoming part of the new cluster and the Create Computer Objects permission on the container where computer accounts are created in the domain. 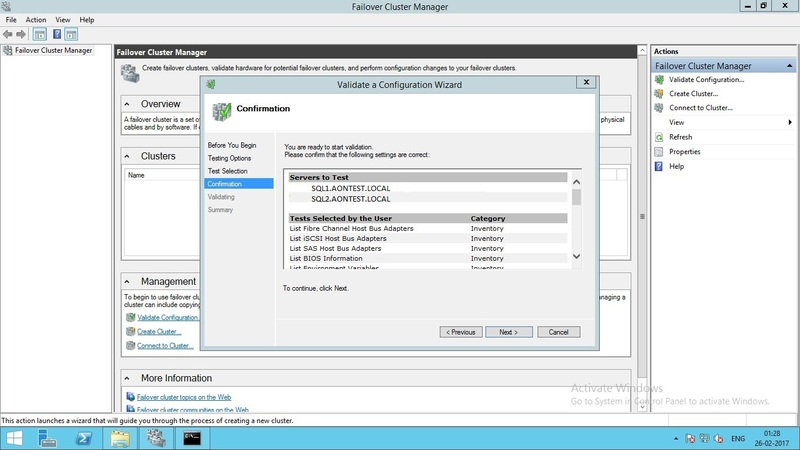 Open server manager and select Add Roles and Features. 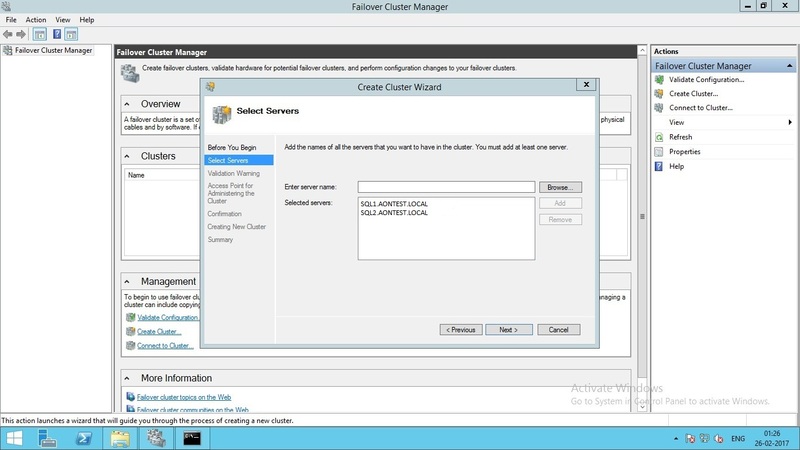 Next, Add Roles and Features Wizard and Select the Failover Clustering feature. click Next and install. Validate your hardware configuration to make sure that it meets the requirements for building a failover cluster. 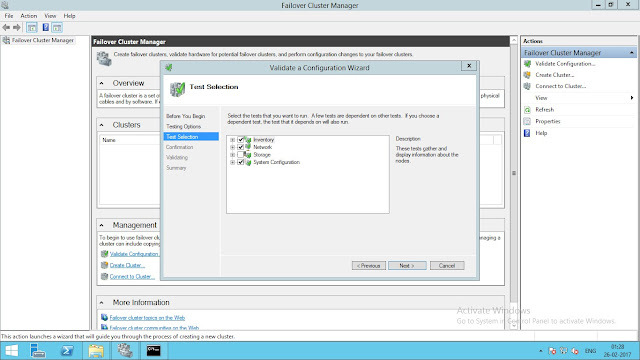 Launch failover cluster manager console and click on the Validate Configuration option, found in the Actions pane. 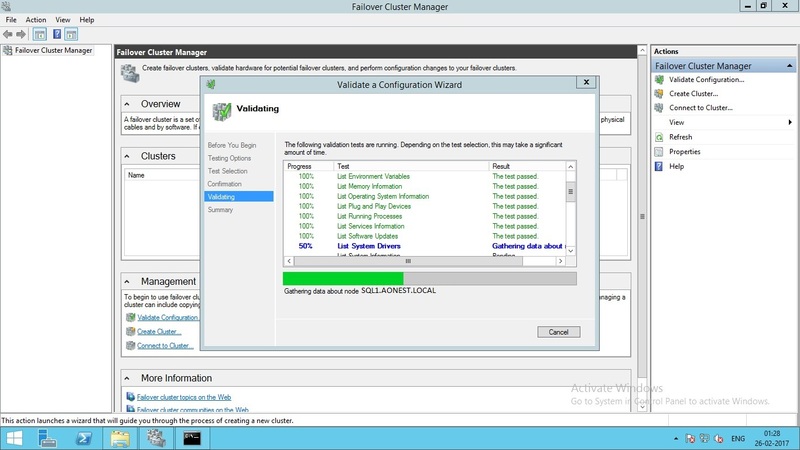 This will cause Windows to launch the Validate a Configuration Wizard. Testing Options dialog box, make sure that the option Run only tests I select. Click Next. 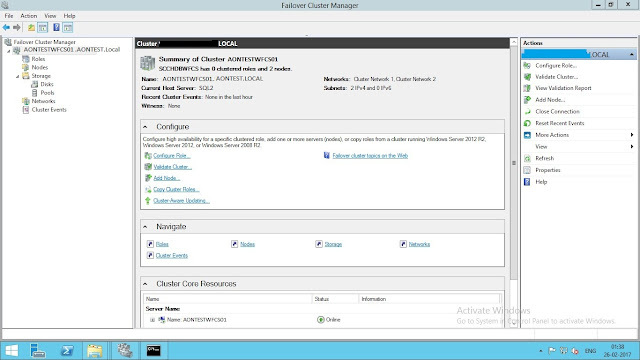 Exclude add eligible storage cluster check box and click Next. click Next. This will run all the necessary validation tests. 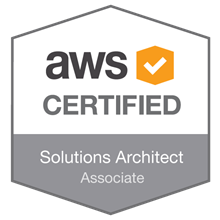 The length of time that the tests take to complete varies depending on the number of servers in your cluster and on your hardware's performance. the test results may result few warnings. 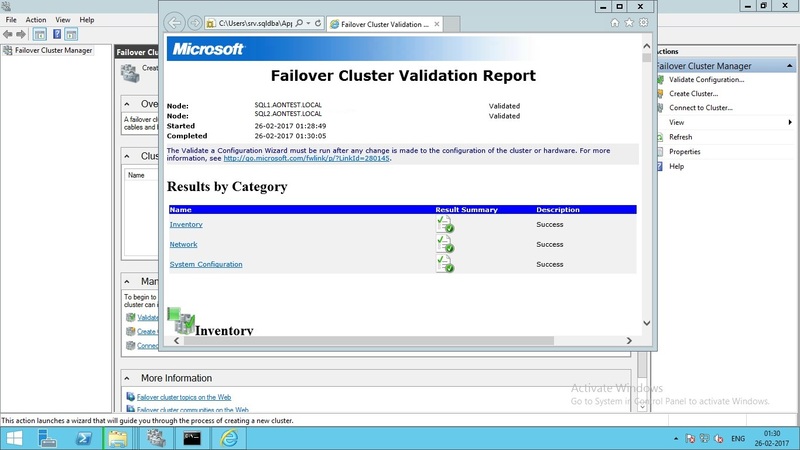 However, if you see any Error messages, you need to fix those first prior to creating the Windows Server Failover Cluster. 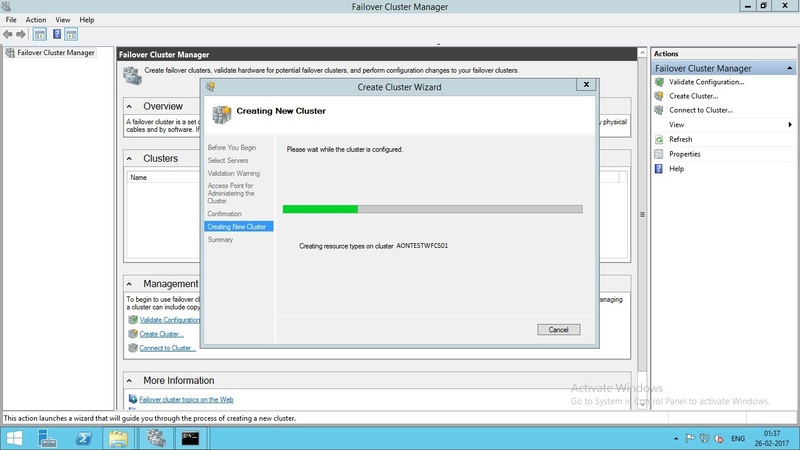 Launch the Create Cluster Wizard. 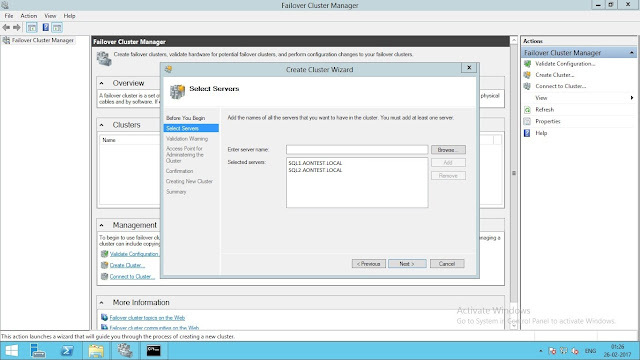 Click Next and In the Select Servers dialog box, enter the host names of the nodes that you want to add as members of your cluster and click Next. 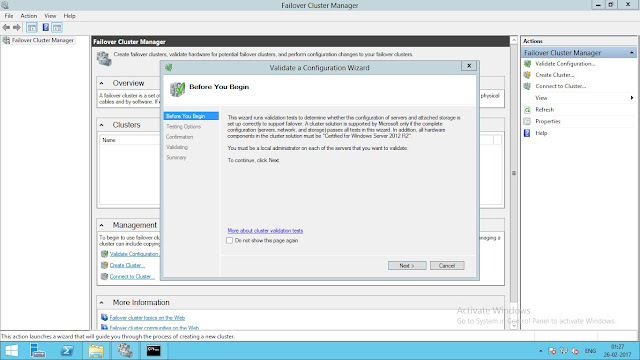 In the Confirmation dialog box, Exclude add eligible storage cluster check box and click Next. 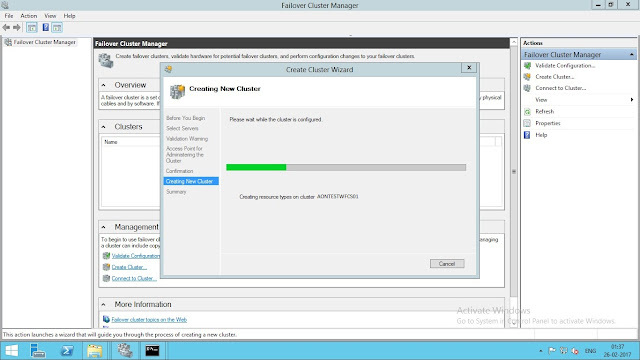 This will configure Failover Clustering on both nodes of the cluster. 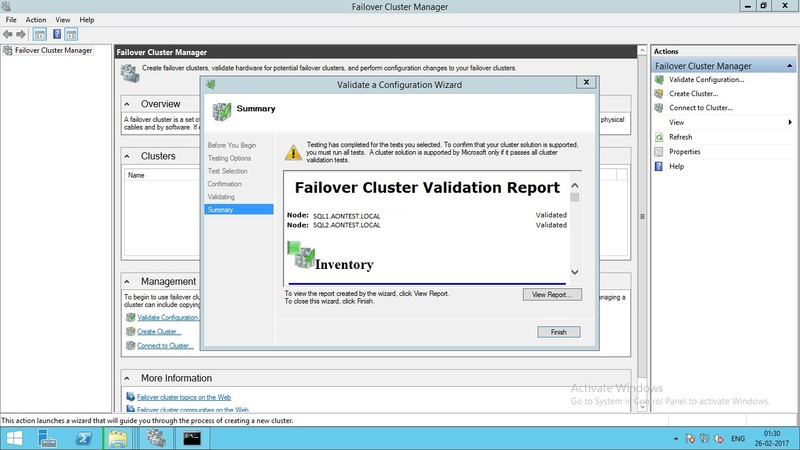 There is no need to use shared storage to create the Windows Server Failover Cluster that we will use for our Availability Group. In below screenshot, AONTESTWFCS01 cluster is successfully setup on SQL1 and SQL2 nodes. Thank you for the article. Much appreciate it. Just want to check if we do not need Quorum here and also do we really require two networks one for replication and one for domain? Yes. we do require a quorum configuration. 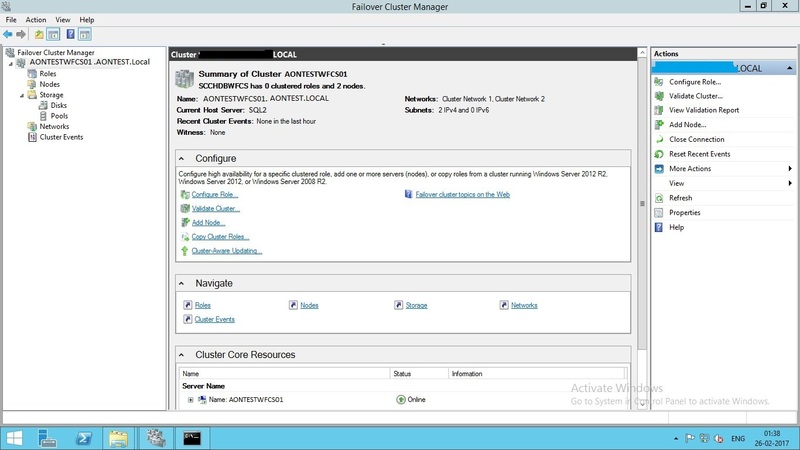 In my case it is always on and i'm using Dynamic Quorum configuration which allows the Windows Cluster to dynamically recalculate the quorum requirement based on the state of the active voters in the cluster. If you want to separate network for replication to reduce latency, you can have separate network.